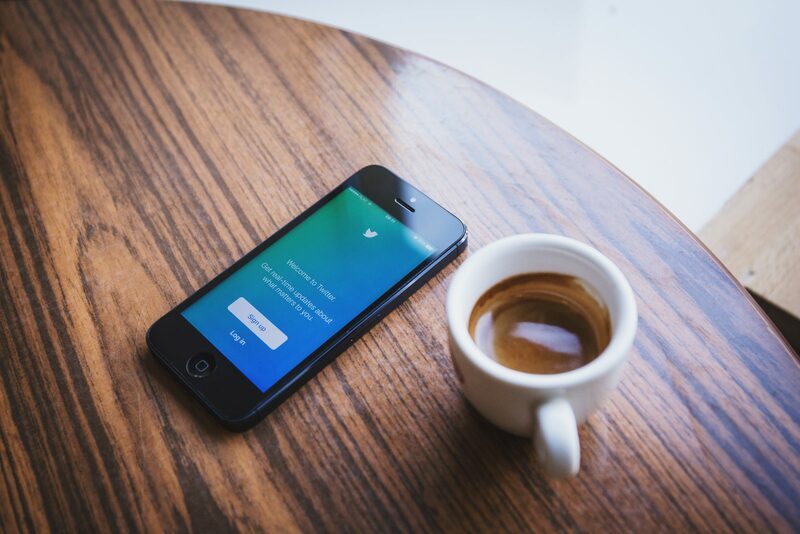 Twitter Changes Its Game, But Should You Change With It? Twitter took a huge leap about two weeks ago by making a fundamental change to the rules of its game – it increased its character limit from 140 to 280. The Tweetverse chirped loudly, mostly in protest. But Jack Dorsey must know what he’s doing, right? This isn’t the first time the bird has loosened the reins on its original concept of brevity in communication, of course. Back in the day, images and video links cut into message length. Almost a year and a half ago, Twitter made it so that photos, videos, quote tweets and @names no longer got counted in the 140-character cap. Marketers rejoiced. The change made it so much easier to include an influencer mention, encourage sharing and add increasingly vital visual assets without compromising one’s ever-so-carefully crafted copy. But, even as early as 2011, pundits started lobbying for an increase in character length. The argument centered on the idea that length would necessarily equate with more meaningful conversation and robust information. Wouldn’t it be better if users didn’t have to link over to blogs, articles or long-form Facebook posts to read more about an idea found in their Twitter stream? Wouldn’t it be great if users didn’t have to think as much about the crafting of their message, and didn’t get discouraged by hitting the character limit while trying to be witty? For brevity’s sake, the answer, on both counts, is no. While I understand Jack Dorsey’s desire to have everyone stay on Twitter as long as possible, the answer is not to make users read more but rather to ensure the brief content they do read is as relevant to them as possible. That’s our job. Twitter, along with all other social media platforms, is a tool for marketing, not the end-game. Yes, you definitely want to encourage and nurture dynamic and informative conversation with your current and potential customers. You want to inform and entertain them. You want to solve problems and address concerns in real-time. But it would be foolish to force anyone to eat the proverbial seven-course meal when they’re just looking for a snack. And it would be naïve to forget your own needs to encourage your followers to do more than keep Dorsey happy by camping out on Twitter – you want them to visit your hub, read your insightful thought leadership pieces or, heck, even invest in your product or service. None of that is achieved by being more long-winded but about being smarter about what you say and how you say it. And, at this early stage in Twitter’s gamble, the audience seems to agree with this assessment. 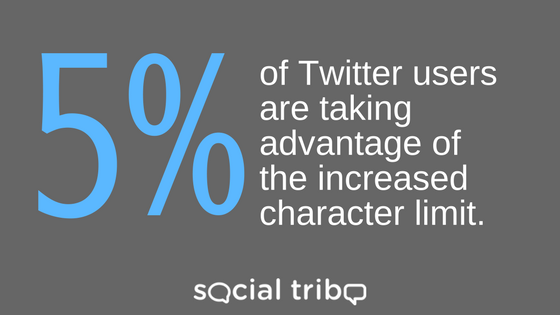 Based on Twitter’s beta-testing, only 5% of users are taking advantage of the increased character limit (tweet this), with only 2% going over 190 characters. Just 1% of tweets hit the new 280-character limit. So, for now, stick with short and sweet. What do you think of the new 280-character limit? We want to hear your thoughts. Drop us a line in the comments!